Former Minister of Health, Prof ABC Nwosu has stated that the All Progressives Congress, APC, will lose the 2019 presidential election easily. Speaking with the Sun, Nwosu said, “It is right to zero it to the ruling APC and PDP, because the opposition party has a Memorandum of Understanding with so many parties that they will support a candidate, and the PDP is hopeful that it is the party’s candidate that they will support because of certain parameters. “I expect that in 2019, Nigerians will vote either for a brighter future for the country or vote to stagnate to nowhere because any vote for PDP means you are having a change of pattern; when you have a change of pattern, you are likely to have a change of policies and you are likely to have new projects and programmes. “If you vote for APC, you are likely to vote for continuity. The continuity of APC is continuity to nowhere, and even there is a greater danger if APC is not changed next year; they might even try to recreate an APC to succeed them, so it may not just be for four years but for 12 years. It is very scary. 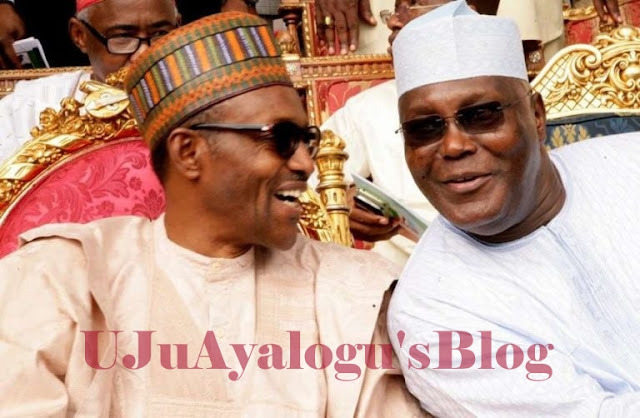 I don’t know what it takes to beat Buhari, but I was in the Obasanjo-Atiku administration, and I know that Atiku is a very credible alternative for good governance, for clarity of policies and direction, and the combination of Atiku and Peter Obi adds a punch. ”As an example, Atiku has been talking of restructuring for a very long time and he is not confused about restructuring. “He is talking about devolution of powers and greater autonomy to the federating units. “That is a major thing that has to be done if Nigeria has to move forward. Atiku is a very credible alternative, but what it takes to beat Buhari, I wouldn’t know. It may take more than a credible alternative or may take less, who knows. “But as for being a credible alternative, Nigerians can look at one and look at the other and make their decision.